If an article talks about purchasing PLR or resell rights and creating e-books without any reference to article marketing/writing/re-writing or distribution. If an article talks about purchasing PLR or resell rights on an e-book and promoting that e-book without any reference to article marketing/writing/re-writing or distribution. If an article explains OTHER uses for PLR or resell rights without any reference to article marketing/writing/re-writing or distribution. If an article explains PLR or resell rights as a general topic, and does not include any reference to article marketing/writing/re-writing or distribution as an author’s original work. If an article is promoting the use of PLR or resell rights for article writing, re-writing, or distribution as an author’s original work, and as a good thing, it WILL BE rejected. – this is NOT OK. You must submit work that is 100% exclusively owned by you. If an article talks about purchasing PLR or resell rights to an e-book and breaking it up for article distribution as an author’s original work – this is NOT OK.
We have a tight automated system in place that continues to feed us information, provides details, and continues to clean out suspect content daily/weekly/monthly. If you did get a PLR article to pass, it won’t be alive for long. In addition, our relationship with you won’t be long-lived either as we terminate accounts that practice this. Do NOT buy articles from PLR article packs. Do NOT spin your articles with content rewriting software. Submit ONLY 100% ORIGINAL CONTENT. The downside is that these articles are inherently useless and dangerous. They will NOT be approved by EzineArticles, they will NOT entice your readers to action and they will NOT deliver traffic to your site. They will, however, COST you money and time, DESTROY your credibility and inevitably cause your membership to be Suspended, Terminated and/or Banned. I understand your negativity about PLR. It has no place in a high quality article directory. Makes not much sense to post something that has been used and reused over and over again on other places already. You also achieve much better results when you submit original articles. They rank better in the search engines and also won’t get filtered out by Google for duplicate content. Share something positive? Not possible. Once again, EzineArticles is showing its elitist attitude. Admittedly, many lazy marketers misuse PLR. One of the problems with article marketing today is that it is such an easy and popular method to market your niche‚¬€any niche‚¬€that spammers and lazy marketers have found it a veritable goldmine. They are coming on board like gang-busters, filling the Internet with junk articles and, frankly, littering our information highway with crap. I completely agree that their articles are worthless. HOWEVER, it IS possible to rewrite PLR and rewrite it well. PLR can be used as a “jumping off” point, a kickstart, if you will, for talented and serious writers who can rewrite the material quite well. Of course, if I said that I did so, I would soon be on your blacklist. So I deny ever doing such a “criminal” thing. BulSh*t. The duplicate content issue makes it VERY NECESSARY to rewrite one’s own expertise! But none of that matters to the elitist minds at EzineArticles. Needless to say, I rarely use EzineArticles, just on principle alone. Besides, I frequently reach page 1 on Google’s serps with GoArticles just fine, thank you. I thought I’d chime in here for a bit. I’m not a fan of PLR. Of course, that’s known because I interviewed Chris recently and probably about 5 minutes of the interview was concerning this topic. Now, I can’t say I was ALWAYS against PLR. A couple of years ago I simply didn’t know. I keep my mind open until something either proves it has low value or has real value. Of course, we must discriminate first and think to ourselves “Is this product/service even logical on the surface?” All humans screen first through our prior experience and knowledge. And the concept of PLR itself is not illogical, admittedly. So I understand the appeal of it and why PLR sites were so popular a couple of years ago (and maybe some PLR memberships still are, I don’t know). But I’ve never personally joined any, ever. I think one of the primary problems with PLR is it biases the reader of the articles and makes any “real” re-write virtually impossible to accomplish. If someone buys an original article pack on, say, acne, and the articles are beautifully written but 100 people also get the same articles from a PLR membership site, they are all biased when attempting to “re-write” the content. Well anyone who has ever been to college and had to write research papers knows that even when you are researching material, it’s sometimes difficult to put some of that material you’ve read in your own words. Maybe you’ve read some catchy phrases and you like them and you try to “re-write” them but you just can’t seem to figure out how — and so it ends up sounding very similar to the other author’s work. Look, ultimately, this isn’t just a problem with article marketing. How many famous authors in recent years — even best-selling authors — have been busted later for having someone identify almost entire paragraphs in their book that was lifted from someone else’s book on the same topic. Again, the human propensity for bias and the arduous task of undoing that bias once it’s there when writing. So, that is a way of my expressing a dislike for PLR membership sites that I didn’t say on the interview with Chris because he wasn’t interviewing me. I was interviewing him. I have taken a few “free” courses on PLR marketing, and quite frankly find it a bit ingenuous for people to re-write the same articles that others are re-writing, claiming them as their own. The results are fairly universal…no one except those hawking these courses really wins. In my opinion the time spent re-writing the PLR re-writes would be better spent researching a subject of interest and learning enough about it to write an original, well organized, well written article. EZ is correct in its assessment. Back to the basics. What is the purpose of having a website? PEOPLE! People don’t want to read regurgitated words or words that are written for the sake of having words to sell. People want information. In my opinion, EzineArticles is correct in expecting to receive real information about topics that the author has real knowledge and information. Stay fair here. PLR has it’s place but not in a quality article directory. What will happen if people submit PLR or rewrites to it? The visitors (readers) will start to get annoyed and leave the site. Is this helping anybody? The only reason why authors get a lot of traffic and good backlinks from their submitted articles is because EzineArticles rules keep the readers happy. If you want to submit PLR then you can do that in many other directories that don’t care. But you will see you don’t get a single reader nor a single click from there. Stay true to your principles, Chris. CJ I thought you had a sense of humour (re: Cartoon caption), but if you keep this up I might have to re-think the SOH thing. I have reason to believe that many of my articles have been fed into “re-writing” software for derivative works. As I find this, I will be taking legal action, beware. I have seen a few authors here, I believe to be using derivative works of their own articles. I have warned them to not use my content or I will sue. I am glad that EzineArticles is cracking down on this nonsense and taking a hardline against PLR junk, it’s disgusting and despicable, and it is unbecoming of an EzineArticles Article Author. Thank you. I love PLR! I drive a lot of mailing list traffic to online newsletter-style pages that I’ve assembled that contain quality written PLR embedded with AdSense as well as in which related affiliate products are promoted. I don’t even let these pages get indexed. It’s strictly for my mailing list traffic. I’m pulling in $1,500 (give or take a few hundred in any given month) thanks to this strategy (that relies heavily on PLR materials). Imagine having to write all that content myself? Or worst, grabbing it from EzineArticles and having to pollute my layout with links back to EzineArticles and to the author’s resource box? Forget that. PLR does have its uses — but agreed, it doesn’t belong on EzineArticles. No bites??? you want me to bite??? Your wish is my command… LOL! I checked the box to receive followup comments, but never got them. I just surfed here out of curiousity and found that you’d all like to burn me at the stake! Wow! I am of the opinion that we shall have to agree to disagree. I still believe that it is possible to rewrite something in one’s own words and I will go on believing that for as long as I can compare something I’ve rewritten and still manage to come up with less than 30% dup content. Sorry we have to disagree, but I ask you… how many ways can you say the same thing without getting some fresh perspective, i.e., someone else’s viewpoint thru which to see the topic? When I write something, using my terminology, my “voice,” not everyone “gets” it. But what if someone else rewrote my work in a manner that it then becomes understandable to my reader, the one who didn’t get my version? I don’t see anything wrong with this, and more people will be served by it. Yes, I completely agree that there are some worthless PLR articles out there that no amount of rewriting can fix. And there will always be people looking for shortcuts. But I think it’s quite unfair of everyone to condemn the whole process as being useless. I have reason to believe that many of my articles have been fed into ‚¬“re-writing‚¬ software for derivative works. As I find this, I will be taking legal action, beware. I have seen a few authors here, I believe to be using derivative works of their own articles. I still believe that it is possible to rewrite something in one’s own words. I have taken a few “free” courses on PLR marketing, and quite frankly find it a bit ingenuous for people to re-write the same articles that others are re-writing. Yes rewriting is an option. hi all. 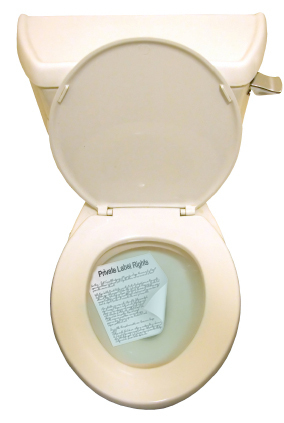 i was also confused about Private Label Rights (PLR) article.But now i got an clear view of it. Do’s and Dont’s given seems useful for most of the newbies.Even i got very much benefited from the Steps of Avoiding the PLR pitfall. I have reason to believe that many of my articles have been fed into software for derivative works. As I find this, I will be taking legal action, beware. I have seen a few authors here, I believe to be using derivative works of their own articles. Great discussion (or should I say debate?). I only submit original content to the article directories. I actually enjoy the process of researching and writing an article. Let’s face it, what we do should be fun & enjoyable – and as authors I believe we should strive to provide valuable content. PLR is promoting the use of resell rights for article writing, re-writing, or distribution as an author’s original work. Most downloadable products (e-books, software, audio files, etc.) come with a digital product license. This license may range from personal use to resale rights to the permission to change the product in any way you like (private label rights). Understanding a product’s license is key to using it legally and avoiding potential ramifications if you don’t. 1. Do NOT buy articles from PLR article packs. 2. Do NOT spin your articles with content rewriting software. 3. Submit ONLY 100% ORIGINAL CONTENT. I’m definitely against PLR, but if you’re read something, learn it, then internalize it, and then re-teach it and re-write it in your own words, it becomes your original creation. I think this is what CJ was going for and by those standards, that level of re-write (after personal internalization) should be ok. Nothing can ever be truly original. Especially when we’re all writing about the same things! It’s 2014. If you use PLR crap articles, you’re definitely doomed! Content is King and PLR is indeed vomit! I never heard of PLR prior to reading these posts. Since I only write about my experiences, I would never consider using PLR. For me, writing is connecting with other people who have had similar experiences issues, or victories, to offer a different perspective, comfort and hope. I am glad I I have found this post.